When Subaru redesigns one of their vehicles, standard procedure dictates that you dislike it at first, then let it slowly grow on you until you like it. For some redesigns, this process take longer than others. 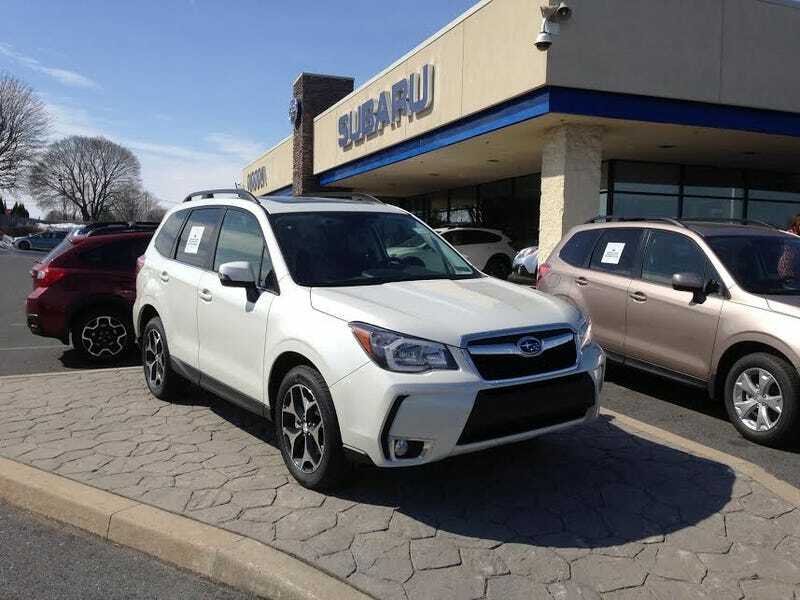 I saw this 2014 Forester XT today, and it looked spectacular, with its Satin White Pearl paint sparkling in the sunlight. The front end treatment wasn't obtrusive, and the metallic gray wheels with machined faces looked perfectly suited for the car's purpose. All of this almost made up for not having a hood-scoop. Almost. It certainly loses something in photographs.